Pilgrimage is act of devotion. 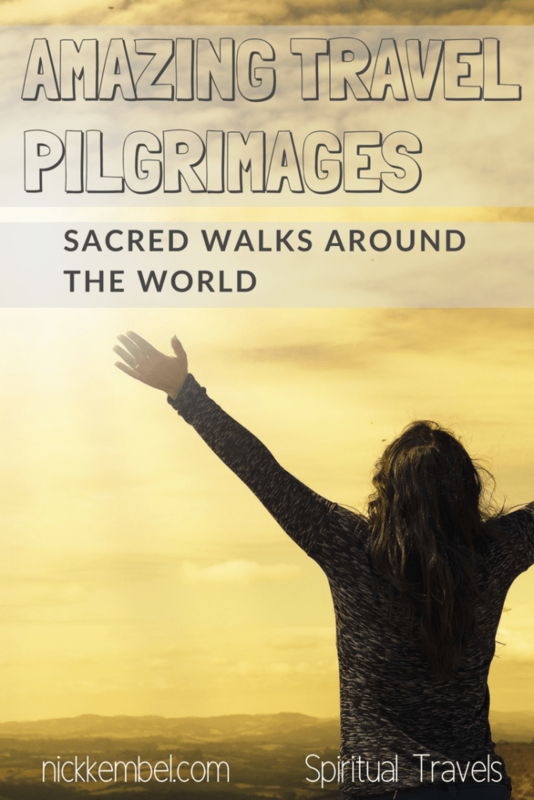 In many religions, these sacred walks are prescribed, even considered a must in one’s lifetime, and followers from all of world’s major faiths make holy pilgrimages. For most, non-believers are accepted or even welcome. Pilgrimage travel can be a meaningful, moving experience in which travelers can enrich their understanding of a local culture and broaden their understanding of the wide range of spiritual beliefs in our beautiful world. Below, travel experts share their experiences walking the great pilgrimages around the world. The following entries are arranged alphabetically. The 2243m conical mountain of Adam’s Peak, in Sri Lanka, is also known as Sri Pada, which translates as ‘Sacred Foot’. It has been a pilgrimage site for over 1000 years. This name, and the mountain’s religious significance, derives from the foot shaped rock formation situated near the summit. Buddhists believe it’s the footprint of Buddha; Hindus that it’s the footprint of Shiva; Muslims and Christians that it’s the footprint of Adam (of Adam and Eve) as he descended to Earth from the Garden of Eden. – Most people begin at about 2am to get to the top in time for sunrise. – The pilgrimage season runs from December to May, with its peak in January/February. Climbing it with friends, my experience of the pilgrimage was truly special, but it probably wasn’t representative of what others experience. We’d missed pilgrimage season and ended up climbing Sri Pada in July, when it’s quieter and the weather is unpredictable. We’d got up early, but not early enough—it was light by the time we got to the top and raining, with zero visibility. It was windy, cold and, except for a few monks we met along the way, my friends and I were the only ones there. The route is beautiful, passing temples, shrines and monuments along the way, all the while walking through lush forest, with waterfalls cascading down mountain faces around you. The solitude of the experience added a poignancy to it. The steps beneath out feet were worn from the footsteps of a thousand years of religious devotion; it was hard to ignore the spiritual significance of this fact. It would be interesting to walk the pilgrimage again in high season, when crowds flock to Sri Pada and queues form to the summit; to experience the summit view at sunrise, with clear skies to the horizon. However, the experience I had was special in its own way and I wouldn’t have changed it. The Camino to Fatima is a pilgrimage to the town of Fatima in the Santarem district of Portugal. Fatima is the site where the Blessed Virgin Mary is said to have appeared to three shepherd children in 1917. The Catholic Church later recognized these events as “worthy of belief”. The small chapel that was built at the site of the apparition developed into a shrine complex. This religious complex, the Sanctuary of Our Lady of Fatima, is visited by thousands of pilgrims each year. Most modern day Pilgrims follow the blue arrow signs on the well-marked way that starts in Lisbon and follows the same route as the Camino Portuguese for 90km after which the path departs from the Portuguese Way for a further 60km to Fatima. Pilgrims can stay in special hostels called albergues on the way. These hostels are cheap, €5 to 15 per night, with pilgrims sleeping in dormitory style accommodation. On this route albergues are far apart, resulting in long walking days of 30 to 40km per day; shorter days are possible if you stay in hotels. Along the way you will walk through many fascinating towns. We took hundreds of pictures and stopped for many coffees. The route is flat and thus easy to walk, but the cobble stone surface can be hard on your feet. I think May or September is the best times for this pilgrimage, since you will avoid crowds, rain and unbearable heat by walking in the shoulder seasons. Stamps in the Camino de Santiago pilgrim’s passport. Photograph by Stephanie Craig. The Camino de Santiago is a network of hundreds of kilometers of pilgrimage trails in Western Europe that lead to the shrine of Saint James in the cathedral of Santiago de Compostela in northwestern Spain. When I left for the Camino de Santiago in early March, I wasn’t prepared for how much it would affect me. I chose to do the last 113km from Sarria to Santiago de Compostela. This was an impulsive decision based on the timing of a trip to Barcelona but it worked out for the best. The route is normally crowded, but, because I went about two weeks ahead of the official season, I found myself alone in my thoughts often. There were several nights when I was one of only a handful of pilgrims at the municipal albergues. I really loved the Camino, which took me by surprise. There were days when I wanted to rip my feet off, it rained all day almost every day, and my feet and hands were never warm for a single second. However, I felt like I was really getting inside my head and figuring out myself. I’ll never forget what another pilgrim told me. He had started in the north of France in December, and it was his second time doing the Camino. He said that the Camino always gives you what you need, and you should keep going until you get it. He had plans to keep going and walk all the way south to the Algarve in Portugal. He was right, though. I left with a lot of perspective on my life. I hope to go back and do a longer one, but I highly recommend you to go and just do the last part if that’s all you think you can manage. You’ll get hooked like I did and need to go back! View of Clew Bay from the summit of Croagh Patrick. Photograph by Elaine & David. Located in Co Mayo in the west of Ireland, Croagh Patrick is one of the most important pilgrimage sites and best things to do in Ireland. Croagh Patrick is a 764 metre tall mountain that overlooks Clew Bay and is considered the holiest mountain in the country with countless visitors climbing the mountain in honour of Saint Patrick, the Irish patron saint whom Croagh Patrick is named after. Nicknamed ‘The Reek’, the pilgrimage to the top of Croagh Patrick dates back over 5,000 years to the Stone Age. It was also popular in Pagan times as a place to celebrate the new harvest and it was at the top of this mountain where Saint Patrick is said to have fasted for 40 days in 441 AD. Today the most popular time to climb the mountain is the last Sunday in July, known as “Reek Sunday”. We’ve made the pilgrimage a number of times, joining around 25,000 other people on the relatively difficult trek up the mountain. People make the journey for any number of reasons: religious, spiritual or even simply for exercise and to witness the beauty of the surrounding area. Some pilgrims even climb barefoot as an act of penance. On a clear day, the views of Clew Bay from the summit of the mountain are spectacular. We’ve been lucky to experience the climb in good weather (at times a rare occurrence in Ireland!) and the views are some of the best in the world. Pilgrims traveling by mule from the a chopper landing site. Photograph by Neeharika Satyavada. Nestled high up in the Indian Himalayas at fifteen thousand feet, is the world’s highest Gurdwara (Sikh place of worship), Hemkund Sahib, more formally known as Gurudwara Sri Hemkund Sahib Ji. Surrounded by seven Himalayan peaks with a glacial lake kissing its feet, Hemkund, its very name—Sanskrit for snow bowl—describes its stunning setting. 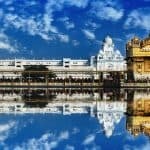 Accessible only through a trekking route between the months of May and September, this Gurudwara in the state of Uttarakhand is one of the most important Sikh pilgrimage sites, next only to the Golden Temple in Amritsar. The pilgrimage begins in Haridwar, yet another popular holy town for Hindus. From here to the last big town before the trek begins, Joshimath, is a nine-hour drive through the mountains. After that it is a three-day trek: the first day to reach Ghangaria, which serves as a base camp; the second to go up another three thousand five hundred feet into the Himalayas to Hemkund and back. Every year families of both the old and frail and the young and enthusiastic take up this pilgrimage of over fourteen kilometers through the rugged mountain terrain. For me, the true spirit of this journey was in the encouraging smiles of those old couples who would always be ready with a kind word for the obviously struggling first timers. For those who are unable to undertake this expedition on foot, helicopters fly in regularly during the day from Govindghat to Ghangaria, but from there to Hemkund, the only way to complete the pilgrimage would be by hiring a mule. Along the trekking route beyond Ghangaria, a path leads you to the Valley of Flowers, a UNESCO World Heritage Site that is a four-kilometer stretch of rare endemic flowers that bloom only during the monsoon. This is a popular side trip for those that wish to add a day’s trek to their itinerary. The stunning climax of the Inca Trail: Machu Picchu. Photograph by Claudia Tavani. Walking the Inca Trail is more of an adventure than it is a pilgrimage nowadays, though this is the sacred route that Incas would use to get to Machu Picchu. Although there are several hiking trails that go to Machu Picchu around the Sacred Valley, there’s only one official Inca Trail that follows the sacred ancient route, and that ends on the actual Machu Picchu site. The only way to access the trail is via an organized, guided expedition that has to be booked months in advance. Indeed, the government issues permits for the trail and only sells them to tour companies, and since only 180 visitors are allowed to enter the trail per day, permits sell fast as soon as the government issues them every January. Depending on the tour company and on the additions (porter services, sleeping bag rental, additional entrance fee to Wayna Picchu, etc.) costs range from $600 to $800 USD. 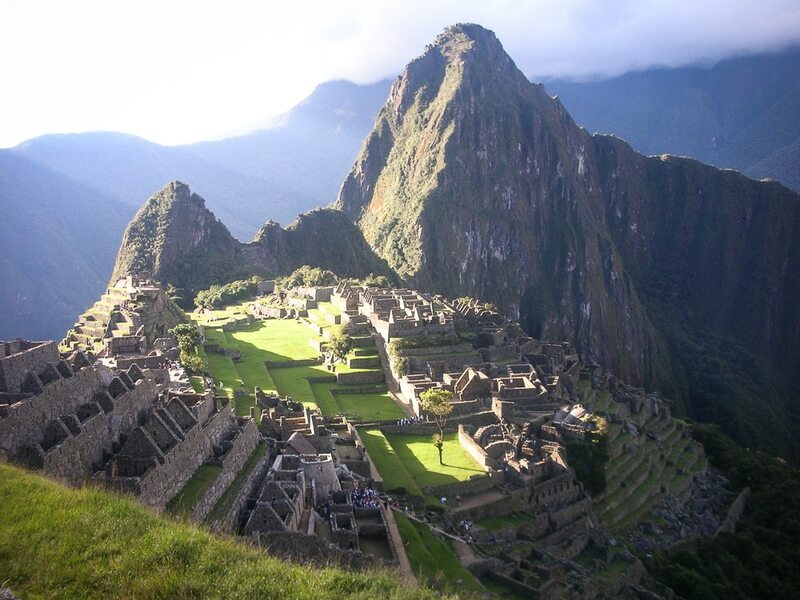 Find more information in this article about hiking Machu Picchu mountain. The Inca Trail takes 4 full days, with 3 nights spent camping along the route. It is an intense, challenging, thrilling experience that any adventure and archaeology lover should try once! In the wild, mountainous Kii peninsula south of Osaka and Nagoya, there is a network of pilgrimage trails connecting the region’s Shinto-Buddhist religious sites. For over 1000 years, emperors and pilgrims have journeyed to the region to walk these trails, and today travelers can follow in their footsteps. These trails and the various shrines they connect are collectively classified as a UNESCO World Heritage Site. There are various routes, but most travelers spend 2-4 days walking part or all of the Nakahechi route, which begins near Tanabe on the west side of the peninsula terminates at the Kumano Sanzan, three very important shrines that are the headquarters for sects that are found across Japan. One of them sits atop a mountain overlooking Nachi Waterfall, the highest in Japan. A more difficult route begins at the sacred cemetery village of Koyasan and also terminates at the Kumano Sanzan. I visited the area at the coldest time of year, in February. 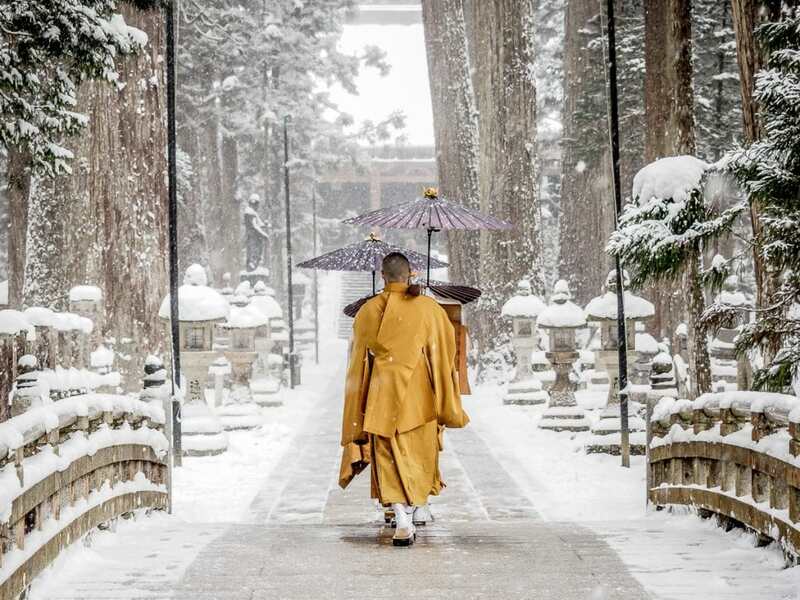 Koyasan was covered in snow, making it looks like a Buddhist winter wonderland. I bused rather than walked to the Kumano Sanzan temples, but spent several days in the area soaking in amazing hot springs like Yunomine Onsen, and walking smaller sections of the pilgrimage. The shrines as well as the trails were almost devoid of people at this time, so I would strongly recommend doing this pilgrimage in winter, if you don’t mind the cold. Praying at one of Lalibela’s stone hewn churches. Photograph by Clemens Sehi. 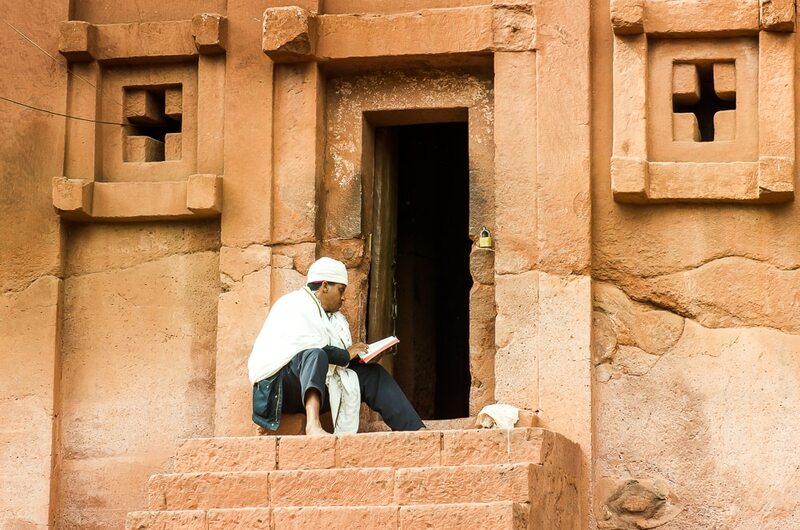 The locals say that Lalibela’s monolithic, cross-shaped churches were built by angels. Nobody knows whether this is true, but it is for sure one special place to be. Located in the North of the West African country of Ethiopia, Lalibela is one of the most important places for all Ethiopian Orthodox Christians in the country, but also an appealing place for anybody interested in going on a pilgrimage. Every year, thousands of pilgrims make their way to the churches during Ethiopian Christmas, Genna, which is usually in January. That’s the time when this small and dusty city turns into a super busy place with donkeys and pilgrims in the streets, buses, and Land Cruisers filled with Western tourists who want to experience this magical place. For Ethiopians, the pilgrimage to Lalibela is a once-in-a-lifetime thing to do—but only if they can actually afford it. Then, they wander from anywhere in the country towards Lalibela and sleep along the way. Singing and dancing together is the number one activity in the evening when everyone sits together and thinks about Lalibela before they arrive. If you are backpacking in Ethiopia and would like to join the pilgrimage, you can start anywhere in the country and simply make your way to Lalibela. Mostly, Ethiopians will leave their homes weeks before Christmas to arrive on time. There is no proper route, but one shared goal: Lalibela. Apart from Christmas, the churches in Lalibela are visited daily by pilgrims. As a tourist you might want to either take the local bus to the city or do an organised trip with a tour operator. Above all, it’s very helpful to have a guide when being in the churches, as they resemble a maze of narrow alleys and hidden secrets. Be ready to hear lots of singing in the 11 churches, as all the priests usually come together and start singing traditional songs, wearing their white garments and carrying their crosses, all in all a very special thing to see. Every year on the birthday of Matsu, millions of people in Taiwan take part in an 9-day, 250-km pilgrimage in her honor, carrying an important icon of her on a palanquin. It the largest pilgrimage for a goddess in the world. In Chinese mythology, Matsu is the protector of fisherman and the sea, but she is worshipped more generally as the Queen of Heaven. She is especially loved in Taiwan, where there are more than 1000 temples dedicated to her. 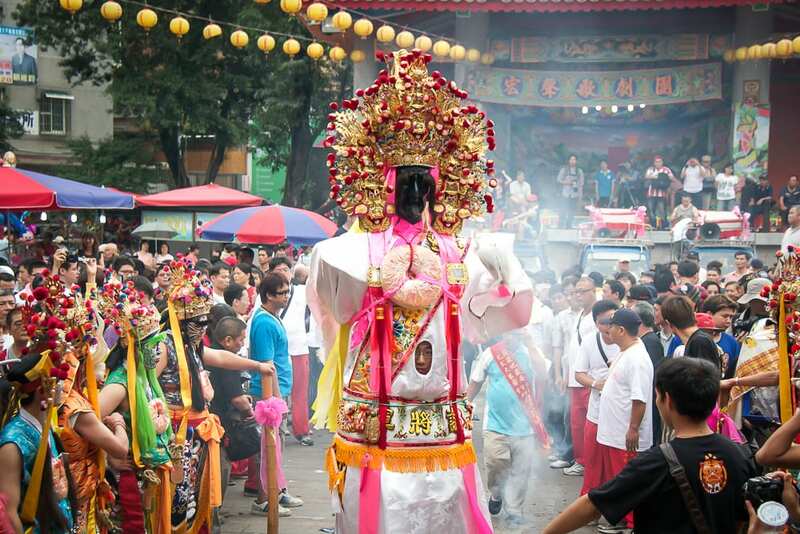 Her birthday, which falls on the 23rd day of the lunar calendar (usually April or May), is celebrated with firecracker explosions and street processions all around Taiwan, but the main pilgrimages traverses four counties, calling in at several important temples en route. I didn’t walk the pilgrimage, but I showed up to observe the celebrations at the starting (and ending) point of Zhenlan Temple in Dajia, Taichung. In fact, most people don’t walk the whole route, but join for certain stops or parts of the pilgrimage, including many locals as the procession passes through their towns. They even have an app that followers can consult to find out where the procession is at any point, or where to sleep or get a meal along the way! In Taiwan, there are often these types of folk religion street processions, even in my own neighborhood. One thing they are share in common is being very noisy, but my experience was this was perhaps the noisiest (and most crowded) of them all! Discover has even called it one of the three largest religious events in the world. Muslim pilgrims at the Kabaa, with Makkah Royal Clocktower, third tallest building in the world, in the background. 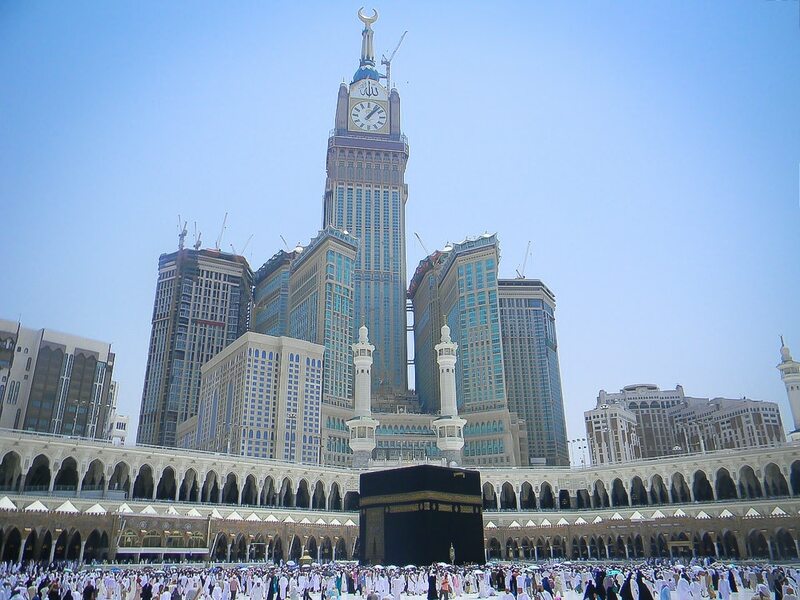 Doing to the Mecca Pilgrimage, the Hajj, is a ritual Muslims worldwide aim to do at least once in their lifetime. In many cases, people do the Hajj at a later stage of their life, in their 30s, 40s, 50s and even above. I was lucky to do it in my early 20s. Being from Saudi helped with the logistics that other nationalities might find difficult. One of the requirements is for the Hajj to be paid for from savings or to be gifted. In my case, it was a graduation present from my mother and her family. They signed me up in a local caravan known as a Qafilah in Arabic, which is the norm for anyone doing to the Hajj. These groups are experts at making arrangements and helping with the whole process. Getting there was easy; doing all the rituals in four specific days alongside two million people was a little challenging. It was hard at times with all the crowds and the heat, but I felt I had so much strength in me that kept me going and I ended up loving every part of it except for the mosquito bites! Doing the hajj was a spiritual journey to remember that taught me about how I can be resilient and connected to my faith deeply. 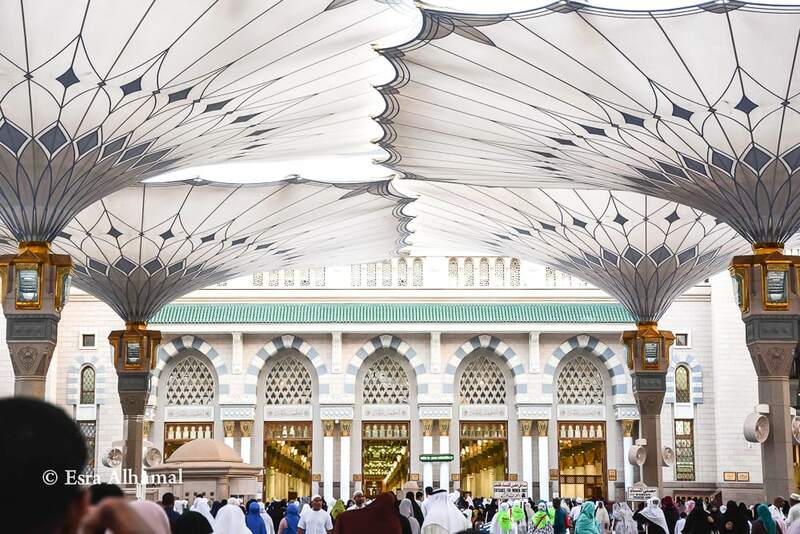 After the Hajj, many people go on to Madinah (Medina) to visit the mosque and the grave of Prophet Muhammad, but this is not a required step of the Hajj. The approach to Mount Kailash. Photograph by YoWangdu Experience Tibet. The pilgrimage kora around Mount Kailash is one of the most remote, challenging and sacred walks on earth. Kailash, or Kang Rinpoche as she is known to Tibetans—the Precious Jewel of Snows—is located in far western Tibet and is holy to people of four different faiths: Buddhist, Hindu, Jain and Bon. It is critical that you acclimatize to the extreme high altitude slowly, in stages as you make your way to Mount Kailash. Day two will be the hardest day, as you will have to cross the Dolma la pass, at 18,471ft (5630m). It was, at least for me, also the absolute highlight of my most recent 30-day journey to Tibet. Starting out in total darkness in the early morning, we soon met up with other pilgrims on the path, and the growing light found us strung like a rosary along the rising zig zag of the pass, a fresh light snow on the ground, the brightening air filled with both the hum of prayers and strong breathing. 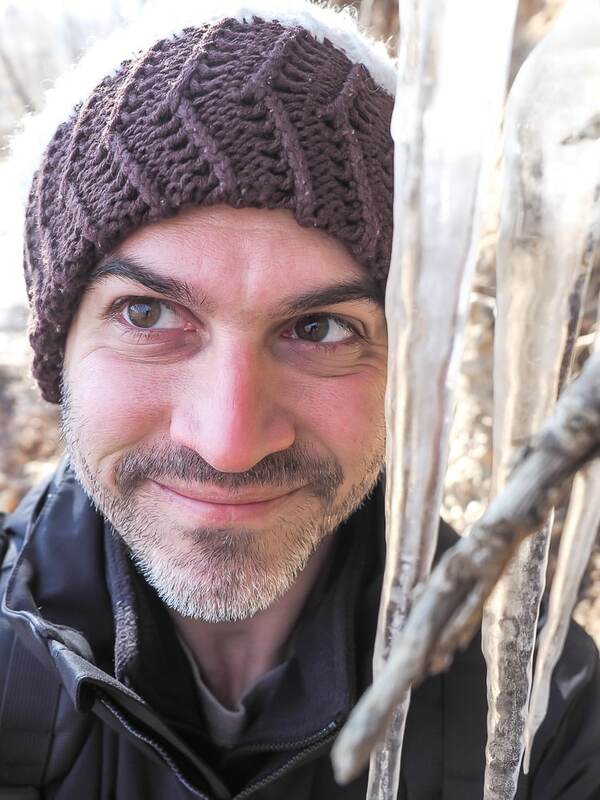 On ground that has been sacred for over a thousand years, I felt connected to the earth, to my fellow pilgrims, and to the best of what being human is. Having visited numerous temples all over India, my pilgrimage to the Rameshwaram temple turned out to be completely unique from what I could ever have anticipated, and one that required us to hire a guide. The pilgrimage began by walking up to the temple at 4 in the morning and offering prayers to the Sphatik Mani (pure crystal) lingam gifted by Adi Shankaracharya in the 12th century. The main temple darshan were to come much later only after we had bathed in around 22 kunds or tanks or teerthams (out of the overall 64 in the town) present within the temple precincts and purified ourselves with its holy waters induced with a peculiar taste that is said to be therapeutic. The route started with a little dip in the Agni Teertham, the sea of Bay of Bengal flowing a few meters away from the temple which was then followed by bathing in the 22 kunds within the temple. Each time, our guide poured a torrent of water from the kund on my head; he also narrated a distinctive legend associated with the teertham or freshwater well from the epic Ramayana. By the end of it all, my body was drenched in water but my heart was soaked in faith. Walking through the much-admired, architecturally magnificent and ornate corridor (the longest in the world—197 meters long and 133 meters broad) framed by mammoth 1200 pillars leading to the main Ramanathaswamy temple, I was reminded of how the temple is one of the four holiest Hindu pilgrimage sites called ‘Char Dham’ comprising Badrinath, Puri and Dwarka, which are located in the four corners of India. Concluding the exhilarating walk brought me to the final procedure of Rameshwaram darshan yatra, which involved praying to the Shiva Lingam, one of the twelve Jyotirlingas in the world and worshiped by none other than Lord Rama Himself. Shandong province, south of Beijing, is famous for three things: Qingdao beer, the hometown of Confucius, and Tai Shan (Mount Tai), the most sacred of China’s five holy peaks. Confucius and Mao have both climbed it, not mention many ancient emperors. Over 5 million visitors, most of them Chinese, visit this mountain every year. Many of them walk up the 6660 steps to the 1545-meter summit. Needless to say, you won’t be alone if you make this pilgrimage, no matter what day of the year you do it. I must admit that I cheated and took the bus and then gondola up the mountain. I stayed in one of the guesthouses on the summit for the night, which happened to be Chinese New Year’s Eve. It was FREEZING up there, but the sunset from the Daoist temples on the summit was phenomenal. After that, I could see fireworks going off in the villages on the plain far below. 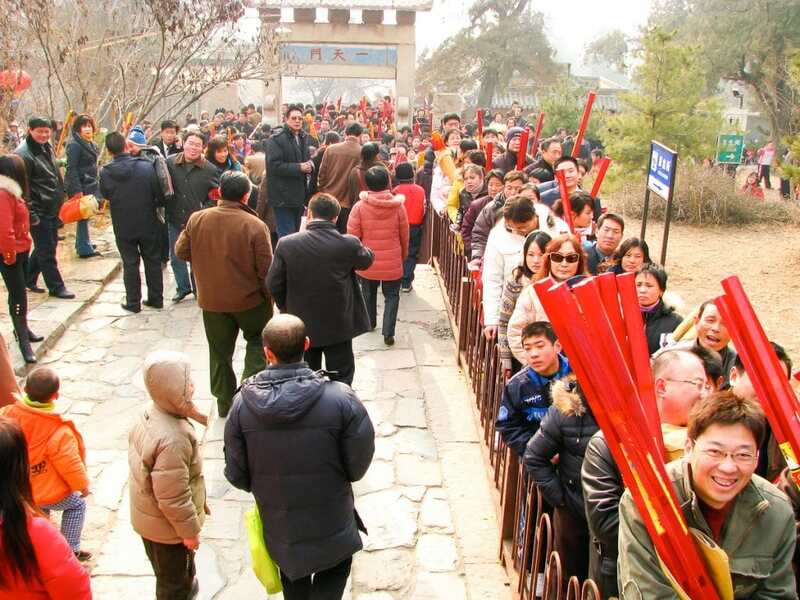 The next morning, I walked down the 6660 steps, and I was going against the grain, as tens of thousands of Chinese people were walking up, huffing and puffing, many carrying temple offerings and enormous sticks of incense to burn in the mountains temples. It was a throng of human devotion, and an experience I’ll never forget! Walking the Inca Trail would be an unreal spiritual experience Nick. Hell; hanging out in Cusco was enough for me. I recall walking to the roof, taking a deep breath to be present, and looking around me at the Andes backed with impossibly blue skies. Speaks directly to your spirit.